Take a peek out of the window the next time you go to work or college. Chances are your gaze will, more often than not, fall on a plethora of colourful objects, half-buried in the soil or flying in the breeze. Look closer and you realise that what you see is an assortment of . . . . . . plastic bags! The bane of modern civilisation, these objects embody the most uncivilised tendency of contemporary society – a talent for creating waste. Unmanageable amounts of it tower menacingly over our bustling cities, threatening to engulf them in its psychedelic tentacles. According to Vasundhara, a Mumbai-based environmental NGO, Mumbai alone goes through eight million bags a day. The fact that plastics make up less than one percent of municipal waste in Indian cities (as compared to eight percent of waste in Western Europe) is unlikely to mollify the municipal engineers who deal first-hand with the problems they cause. For them, the plastic bag that you used for just a few minutes to carry home your groceries epitomises a huge menace. The ability of this seemingly benign stuff to create environmental disasters is enormous. It chokes gutters, drains and marine outfalls, creating a nightmare for sewage engineers. For defenceless marine life, it adds a lethal bite to the act of feeding, ending up in the bellies of whales, dolphins, turtles and seabirds, condemning them to an agonising death from starvation or malnutrition. It even ends up in the bellies of terrestrial scavengers, like cows and dogs, who fancy the leftovers that we so thoughtfully wrapped up before discarding. It clogs the soil, preventing the free flow of water through it and depleting it of its fertility. As if that were not enough, it just refuses to go away, lying around for 400 years or so, to wreak its mischief on generations to come. Destroy it by burning, and like the deadly blood of the Medusa, it throws up a cocktail of some of the most poisonous chemicals known to man. Although plastic manufacturers disclaim the latter, stating that burning only breaks down plastics to benign compounds like carbon dioxide and water, this is true only for certain types of plastics like polypropylene. Even manufacturers agree that some plastic — like PVC (polyvinyl chloride) which contains chlorine and additives — may produce toxic compounds when burned. More unnerving however is evidence that even minute amounts of the compounds used as additives in plastic could cause a wide range of reproduction-related ills such as falling sperm counts, increase in testicular cancer cases, and other reproductive abnormalities. The very characteristic that once made plastic a marvel – its indestructibility – has made it detestable today. There is no disputing the fact that the reason plastics have become an indispensable part of our lives, as in certain applications they have an edge over conventional materials. Indeed, their lightweight, durability, energy efficiency, coupled with a faster rate of production and more design flexibility, have allowed breakthroughs in fields ranging from non-conventional energy to horticulture and irrigation, water-purification systems, and even space flight. In 1996, the highest users of plastics in India were industries related to infrastructure (30 per cent), agriculture and water management (24 per cent). However, the use of plastics in packaging was also high (25 per cent). For India’s economy, the plastic industry contributes about Rs 3000 crore worth of revenue. Representatives of India’s plastic industry, argue that contrary to claims by environmentalists and doomsday prophets, plastics actually help preserve the environment. Their rationale is that by substituting wood, paper and metal, plastics prevent massive deforestation and conserve scarce resources; that plastic packaging prevents wastage of agricultural produce and cement, and that plastic actually occupies less space in landfills. They also argue that plastic manufacture consumes less energy than the manufacture of aluminium and steel; and that the use of plastics to make lighter vehicles improves fuel efficiency and results in reduced air pollution. Because of its high product-to-package ratio, they note, lighter plastic packaging material conserves energy by decreasing transportation costs. 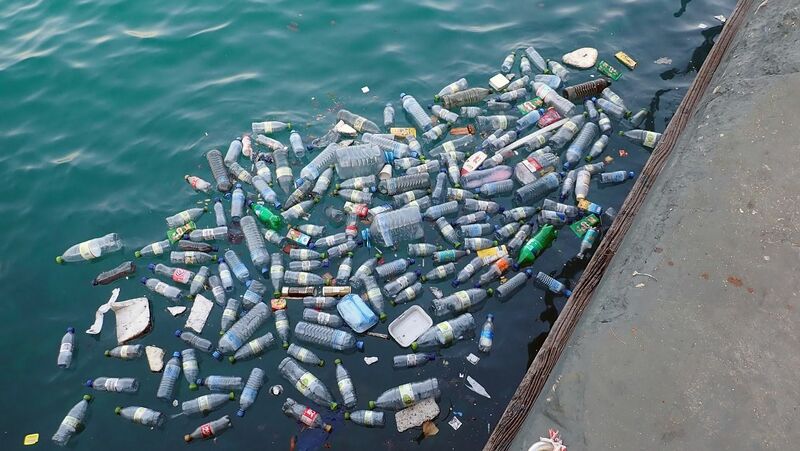 They quote figures showing that while the manufacture of 1000 one litre plastic bottles consumes 57 percent less fuel than that of glass bottles, the manufacture of 1000 plastic bags consumes 32 percent less fuel than that of paper bags. However, as the latter estimates include the energy content that can be reclaimed by burning plastics as fuel, so they cannot be said to truly represent the actual fuel conservation values achieved by substituting these familiar materials for plastic. India is already facing plastic disposal problems of the kinds faced in the developed world, which is fast running out of space for landfills to control non-biodegradable waste. The average Indian still generates about five times less waste than his American counterpart. But the increasing purchasing power and consumerism of the burgeoning Indian middle class is threatening to sweep us into the vicious “use-and-discard” cycle. Compared with around half a kilogram of trash generated every day by a poor family of five, a middle-class family generates two to three kilograms per day, and an upper-class family generates about four to five kilograms per day. More than half of the latter is non-biodegradable, and this is expected to double by the year 2000. In India, about 40 per cent of the total plastics manufactured are sorted, collected and recycled (as opposed to only 10-15 per cent in developed countries). While factory waste is reground and reused, post-consumer or packaging waste travels the route from ragpickers to wholesaler to the reprocessor. Every day, the million or so ragpickers nation-wide retrieve over 800,000 tonnes of plastic waste which are sent to more than 4300 reprocessing units around the country, estimates Rajiv Tolat, of the All India Plastics Manufacturers Association (AIPMA). Recycling of plastics consists of three main steps – shredding, remelting and re-forming in moulds. The machinery used to consist of a grinder, an extruder and a pelletiser, each of which could cost from Rs 1.5 to two lakhs. After sorting according to grade, the plastic waste is put into an agglomerator that heats and shreds it into fine flakes (called the “agglu”), which are put into an extruder. Here it is heated, extruded through screens, and solidified into strands by passing it through cold water. The strands are cut into pellets, which form the raw material for moulding sheets, tarpaulins, pipes etc. The process is energy intensive as energy costs make up two-thirds of the cost of production. Of the types of plastics recycled in India, PVC (polyvinyl chloride) accounts for 45 percent, LDPE (low-density polyethene) for 25 percent, HDPE (high-density polyethlyene) for 20 percent, PP (polypropylene) for 7.6 percent and other polymers such as PS (polystyrene) for 2.4 percent. According to manufacturers, almost all these types of waste can be recycled upto four or five times. However, the quality of the recyclate deteriorates and additives or virgin material are added to give it strength. “Food grade” material, like that used to make milk bags, is made from virgin plastic. Manufacturers emphasise that bags made from recycled plastic should not be used to store “unpacked” food items, as there is a chance of contamination of food with chemicals. Is recycling the answer? Even the resourceful ragpickers are unable to contend with new types of packaging materials that we are adding to the growing heap of non-recyclable, non-biodegradable waste in our dumping grounds. Mineral water bottles, noodle packs, shampoo and paan masala sachets, wafer packets, tetra packs and soft-squeeze toothpaste tubes remain untouched by ragpickers. These packaging materials comprise two or more materials fused together; hence they cannot be recycled because there is no market for such composites. Dealers aver that existing recycling machines can only cope with one material, and are not designed to deal with combinations. Manufacturers in India claim they are trying to evolve methods of recycling for such materials. The gradual disappearance of valuable articles like aluminium toothpaste tubes has eaten into the income of ragpickers. “Plastic carry bags are not high on ragpickers’ priorities precisely because it is not profitable for them, ” says a municipal official. Figures reveal that ragpickers get only between Rs 1.50 and Rs 2 per kilo, which comprises about 450 plastic bags. Obviously, the rewards do not match the efforts required to collect them, so we can safely assume that the ubiquitous plastic bag will continue to clog our drains and fill our dumping grounds for some time. That is unless we find alternatives or reduce their use. According to the President of the AIPMA (All India Plastic Manufacturer’s Association), Rajiv Tolat, it is not so much the use, as the improper disposal of plastic carrybags causing harm. If they are sorted at source and disposed of in special bins meant for them, he believes, it will be possible for ragpickers to recover and recycle them. He even professes the AIPMA’s willingness to provide such bins for disposal, provided there is a coordinated community effort to use them and see that they are not stolen. We also need to adopt a clean production approach — that uses fewer materials and less water and energy — to the design and choice of materials in product manufacturing, claim environmentalists. Recycling wastes from the production process and from post-consumer products is a fundamental step in conserving material flows. But, to achieve this, recycling should involve non-hazardous materials, and truly decrease the need for virgin material inputs. Developed countries, overburdened with wastes, have taken to exporting them to poorer countries where controls are less rigid because their internal controls have become financially and logistically unemployable. In this context, recycling of plastic waste may actually become a liability for India. For a country whose plastic industry is booming, importing plastic waste from other countries will be disastrous. Organisations like the AYBI (Association of Youth for a Better India) advocate their own version of an oft-repeated mantra, adding a “Refuse” before the “Reduce, Reuse and Recycle”. But, mere labelling of plastics as “recyclable”, would only remove the guilt associated with using them, encouraging consumers to use plastic products instead of avoiding them altogether, argue environmentalists. They would be encouraged to overlook excessive and unnecessary uses of plastic creeping into the manufacture of consumer items, and fail to challenge the enormous growth in unnecessary plastic packaging. By assuring us that waste can be effectively dealt with, recycling capabilities are furthering unnecessary consumerism, allowing us to become a “throwaway” society. So, what’s the alternative? Few of us stop to think twice before accepting that plastic bag so freely handed out by every shopkeeper and hawker? 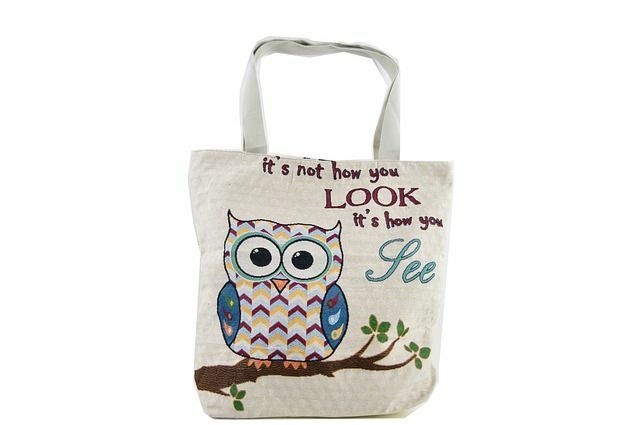 In fact, many of us would even demand that we are given one to carry our shopping. After all, we’d say, it’s so convenient! But convenience comes with a price – a heavy one that may cost us our environment and well-being. And the way we’re heading, it won’t be long before it will be our children paying the price for our NIMBY (Not In My BackYard) attitude. But, telling people to stop using plastic bags doesn’t work unless you provide an alternative, as the activists at Vasundhara found out after trying for years to get people to “Say No to Plastic”. Efforts to replace them with recycled paper bags were often unsuccessful because they found such bags hard to come by. 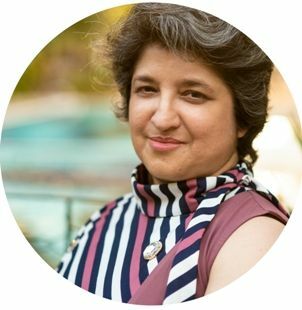 Some enterprising individuals have developed their own ingenious alternatives, like the “Eco-Bag” designed by a Mumbai-based housewife, Aalia Futehally. 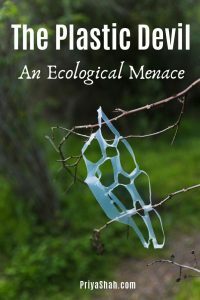 Though priced on the higher side, at Rs 100, and made of synthetic materials – the very kind environmentalists would like to avoid – the inventor claims that its convenience and durability ensures that it far outlasts “cheaper” versions, and hence cuts down the use of polythene bags by “more than 1000 bags per person per year.” For now, her bags are available at a few upmarket stores in Mumbai. But, for many, it is the cost factor, which makes using plastic bags an attractive option. As plastic manufacturer Madhu Sawant says, plastics are the poor man’s alternative. Shopkeepers who try to shift to greener alternatives like recycled paper bags are often forced to give it up because of the cost involved – a paper bag costs five times as much as a plastic one. Kisan Mehta of the Save Mumbai Committee suggests that if shopkeepers start charging for plastic bags, it would make people think twice before accepting them. Some states have introduced administrative and legal measures banning plastic bags altogether, giving ragpickers incentives to collect polythene bags, and leaving the civic authorities to deal with offenders. The Non-Biodegradable Garbage (Control) Bill passed by Himachal Pradesh bans not only polythene bags but also the disposal of other non-biodegradable garbage in public drains and sewage systems, punishing offenders with month’s imprisonment, a fine of Rs 3000 or both. In most cases, it was the damage caused by these bags to water, soil and health that caused the administration to step in. As a recent article on the plastic wastes campaign in Goa illustrates, it will take more than a mere ban to fix this problem. Although the manufacture of plastic bags below 20 microns has been disallowed, manufacturers have found a way to get around it by manufacturing bags with blistered surfaces, to deceive the gauges used for measurement. Recycling is not the answer either, say the campaigners, as downcycled plastics (i.e. wastes recycled to make an inferior product) have few uses and even fewer takers. The campaigners in Goa are now being forced to deal with tons of plastic that no one wants. They now pin their hopes on a new law banning plastic bags below 100 microns in thickness, to ensure that plastic bags will no longer be handed out for free by shopkeepers. They hope that this would force people to either re-use these bags or avoid using them. But will making ever thicker plastic bags mandatory solve the root problem of our throwaway culture that does little to encourage responsible practices? As legislation and even well-meaning campaigns fail to make a dent in the mountains of waste accumulating all over the country, it has become obvious that we need new solutions to this problem. One concept that is gaining popularity in countries like Europe and Japan, is the concept of Extended Producer Responsibility (EPR). Simply put, it means making the manufacturer (and often, the consumer) pay or take responsibility for collection and recycling of the waste they generate. In the US, a small deposit is charged in many states for the bottles. This way, even if some individuals litter, there is an incentive for others to pick up the bottles and return them. Buy-back schemes are not new to India, where for years we have been paying a small deposit on glass bottles and returning them to the neighbourhood baniya for a refund. In tourist destinations like Goa, plastic bottles, used by tourists to provide themselves with bottled drinking water, form a big part of the plastic waste problem. Could the buy-back scheme be applied to plastic bottles as well, as Goa’s campaigners have suggested? Or should we force manufacturers to go back to using glass bottles? Will it be so hard to turn back the clock and revert to our old green practices? Do we even want to? As an article, “Design for disassembly – Vital to green manufacturing” puts it, “India, for various reasons, has traditionally displayed a high level of native ingenuity in recycling its waste, the indifference of the government and large business establishments to this critical activity notwithstanding. But this ingenuity cannot be expected to stretch indefinitely to cope with the progress, however slow, that the country is making in manufacturing. Waste recycling laws are tightening their grip in Europe and Japan, where extended producer responsibility is being increasingly applied to electronic wastes, to encourage their collection, and more importantly, the redesign of materials so that fewer resources enter the waste stream. Established electrical and electronic goods manufacturers in Europe will now be forced to pay for recycling “orphan” waste equipment produced by untraceable companies, while under new laws in Japan, manufacturers have been made to recycle electrical appliances, with consumers also having to pay part of the cost. Electronics recycling programmes in the US are beginning to take off as state and local governments, as well as some companies, launch collection programs and recycling facilities to make the process easier. By blaming the problem on lack of civic consciousness and overstating the role of proper disposal, are Indian manufacturers overlooking their responsibility towards controlling the inappropriate and excessive use of plastics, like those used in packaging consumer goods and perishables? After all, before plastics began to be used for such purposes, weren’t we managing quite well with less-detrimental wrapping materials? Consumers are proving that their purchase choices can go a long way in influencing manufacturers’ decisions. 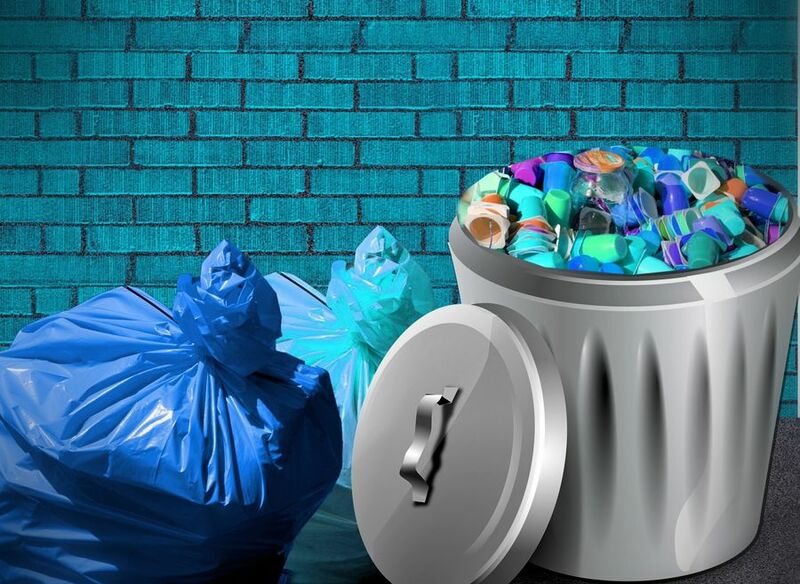 Buying high quality long lasting items instead of short-lived “disposable” alternatives can reduce household wastes considerably, and prevent trash from entering the waste stream. Precycling occurs when a consumer makes sound purchase choices, like avoiding products with excessive packaging which satisfy only short-term needs, e.g. disposable razors and ballpoint pens. Promoters of appropriate, sustainable technology, believe it is essential to discern when plastic is a better material to use than the alternative and to distinguish between necessary and superfluous plastic (for example, essential medical uses versus excessive packaging). Ultimately, they say, it is necessary to ask why we are using these materials in the first place, and whether they are indispensable. Often, natural materials – like cloth or jute – are better choices. Traditional materials currently being replaced by plastics include paper bags, leaf packaging for food in Africa and India, clay containers for food and water, and natural local building materials. Before World War II, fishing nets were made of natural fibres that sank to the ocean floor and disintegrated when they were lost or discarded. 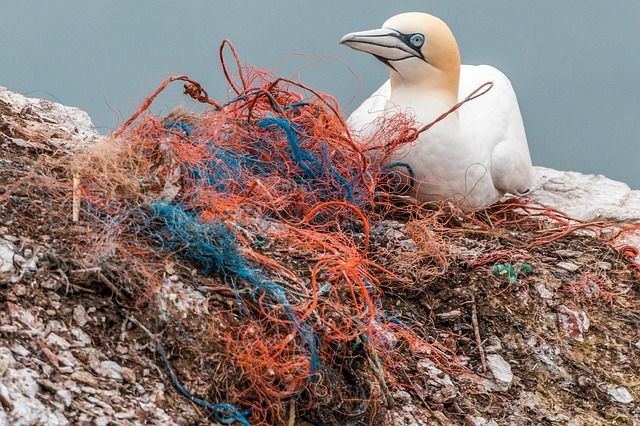 Now, these have been replaced with larger, lightweight, durable plastic nets, that float for years once discarded or lost, catching, trapping and killing unwary birds and marine animals. Instead of continuing to use the earthen, environment-friendly matkas, which served us so well for centuries, we are now opting for mineral water in PET bottles. No petroleum-based material is sustainable, so ultimately, we must move to a material economy based on appropriateness, renewability and efficiency. With new developments in the production of biopolymers, we now seem closer than ever to this goal. The vast majority of plastics are based on nonrenewable fossil fuels and are, by definition, non-sustainable products. 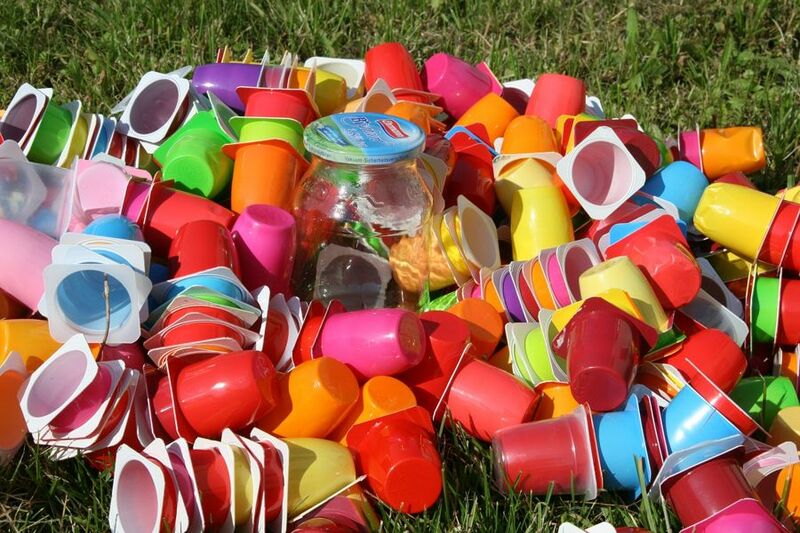 Biodegradable plastics from renewable sources (bio-based) are seen as a promising alternative for plastic products which have a short life cycle or are impractical to recycle, such as food packaging, agricultural plastics and other disposables. The degradation products can be reused (methanol, methane) and the biomass can be broken down into soil. Biodegradable plastics are defined by the International Standards Organisation (ISO) as plastics in which the degradation results from the action of microorganisms such as bacteria, fungi and algae. Biodegradable plastics can still be petroleum-based and should not be mistaken for bio-based plastics. A biodegradable polythene material has been developed at the National Research Development Centre (NDRC) in New Delhi. Made of 60 percent virgin ethylene, 40 percent starch and a “binding agent”, the material is extrudable and mouldable. Scientists claim that it biodegrades completely within two months when buried under soil. However, the biodegradability of waste in landfills is debatable, because the airless (anaerobic) conditions in landfills are not conducive to complete degradation, as opposed to composting. 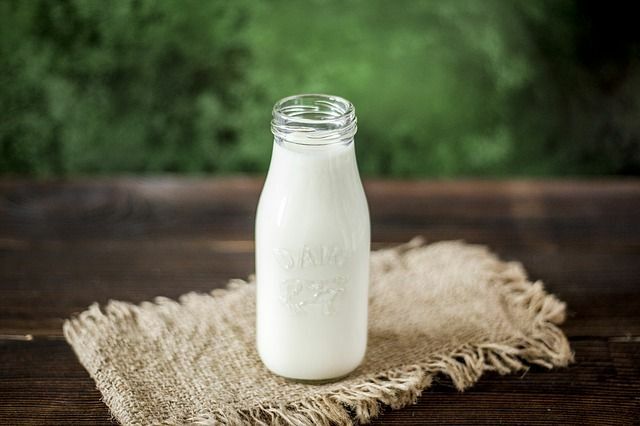 Bio-based plastics can be made from raw materials produced by natural living or growing systems, such as starch and cellulose, or those made via biotechnological processes. The advantage of biopolymers is that they readily degrade and can be composted. Natural polymers include cellulose (from wood, cotton), horn (hardened protein) and raw rubber. Converted natural polymers include vulcanised rubber, vulcanised fibre, and celluloid and casein protein. An example of a biotechnological process is Biopol; a bio-plastic made from chemicals produced by bacteria fed on sugar. The international environmental organisation, Greenpeace, along with the Co-operative Bank at the Design Museum, London, launched a 99.9 percent PVC-free, biodegradable credit card made of Biopol in May 1997. The International Biodegradable Products Institute (BPI) has recently granted its “Compostable Logo” to the Biodegradable Plastic Bags made by Biocorp. Their bags range in size from 2.5 gallons for kitchen food waste bins, up to 96-gallon liners wheeled containers. 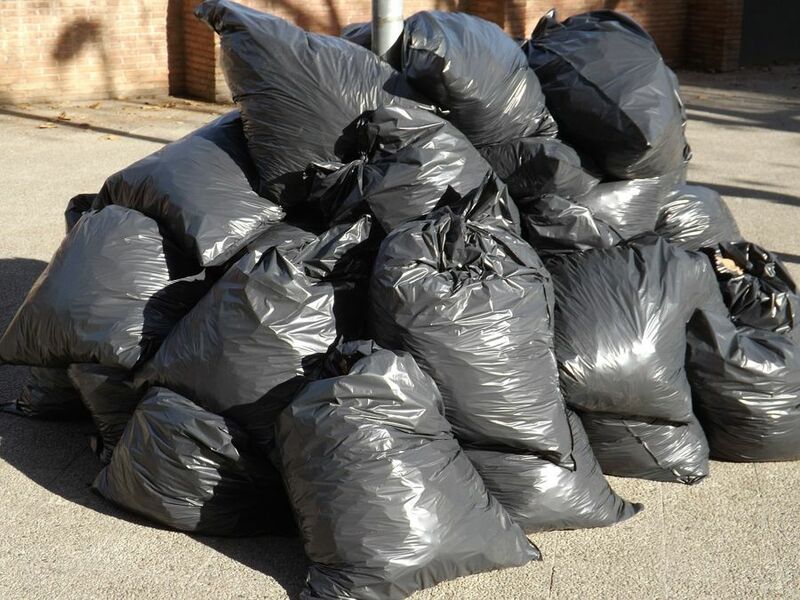 For the past three years, Biocorp’s bags have been sold throughout the world, primarily for the collection of yard trimmings and food scraps. Whereas other plastics on the market that are starch-based, tend to start falling apart more quickly than might be desired for packaging products, NatureWorks needs to be subjected to particular levels of moisture and temperature – such as during the composting process – before it starts to decompose. According to its manufacturers, NatureWorks™ can be used to make both flexible and rigid packaging, and can also be spun into fibres to make clothing. By using corn rather than petroleum as the feed stock, NatureWorks PLA uses 20-50% less petroleum than comparable plastics, according to Cargill Dow. The polymer is being used as the exterior packaging film on Dunlop’s golf ball sleeves, the first time that the product has been used in a non-pilot project. 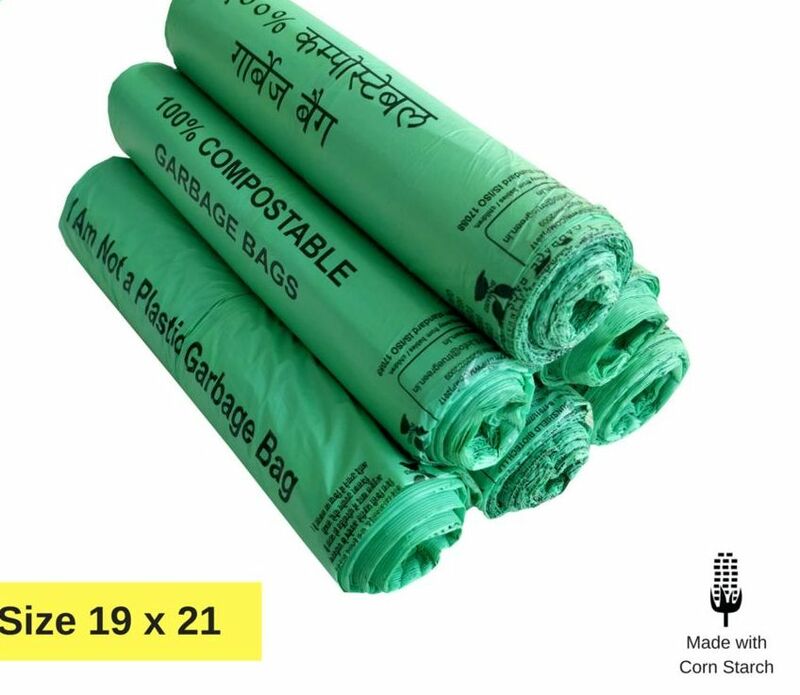 In India, you can purchase compostable garbage bags made from corn starch from Eco365. Grassroots campaigns like The Last Plastic Straw are encouraging consumers to refuse plastic straws, while films like Straws are raising awareness of the devastating impact of our wasteful ways and encouraging individuals to push for change in restaurant protocol and practices in their local communities around the world. Thanks to the environmental advocacy of naturalists like David Attenborough, the Queen herself has banned plastic straws on her royal estates and McDonald’s is following suit by phasing out plastic straws in their UK restaurants. It goes to show that ordinary people, taking extraordinary action, can and will make a difference. Perhaps there’s hope for us yet. I love it, Michael. Thanks for sharing!